The unprecedented growth in mobile telephony in India has come with an unintended consequence: A massive dependence on imported phone handsets. Recent reports indicate that India’s import bill for the 460 million mobile handsets sold last year was a whopping $12 billion. This huge outgo in foreign exchange is, arguably, sufficient reason for the government to create an enabling environment for manufacture of mobile phones within the country. This is a complex and challenging task. However, a good first step could be to change import tariffs that encourage a ‘screw-driver’ approach to manufacturing besides hurting government revenues. Roughly 40% of phones sold last year were reportedly ‘manufactured in India’. However, the Indian contribution to the total cost—or bill of materials—is believed to be around 2%. This includes the all-important semi-conductor chips, phone displays, cameras, memories, antennae, microphones, speakers, batteries, plastic casings, connectors, etc, as well as labour charges. It would be naïve to suggest that Indian companies could overhaul this overnight—or even easily—and acquire the capacity to design and manufacture the key semiconductor chips or the many other sophisticated components involved in handset manufacture. Major international behemoths have decades of leadership in most of these activities. Their massive investments have ensured that they have economies of scale. They would be difficult to challenge on price or quality in the short run. Leadership, or even a substantial role, for India in manufacturing can only be a long-term goal. Imports of components will therefore be unavoidable for the immediate future. However, increasing the Indian component in handset manufacturing is possible but made more difficult by the structure of import duties. For instance, the import of finished phones attracts a countervailing duty (CVD) of 12% while that of the corresponding individual components attracts a duty of only 1%. The latter are treated the same as semi-finished components. In international trade parlance, Indian rules treat semi-knocked-down (SKD) and completely-knocked-down (CKD) components on a par. This allows Indian companies to import SKD components and avoid the much higher duty, despite a minimal local component—between 1% and 2%—in the finished product. A duty differential can, in principle, incentivise local manufacturing. The importing companies would presumably be encouraged to invest in facilities and provide employment as they seek to ‘finish’ the product. However, parity between SKD and CKD reverses the potential advantage. It is risky to dismiss the distinction between SKD and CKD, even if it is not always easy to make. However, the seemingly minor anomaly between SKD and CKD goods has important implications for manufacturing in India. Take, for instance, a printed circuit board (PCB), a common feature of most electronic devices. Several components of the handset are typically mounted or ‘populated’ on the PCB. Since the duty on an unpopulated or populated PCB is the same, Indian companies find it commercially attractive to import a populated PCB. The absence of CVD on populated PCBs offers a perverse incentive to import these instead of populating PCBs within India. Thus, rules designed to encourage value addition in India, in effect, discourage it and hurt India’s move up the value chain of handset manufacturing. Fortunately, it is currently possible to populate the PCB in India and augment local contribution by roughly 6-10%. Many international brands like Sony, Samsung already populate their PCBs in India. The processes and technologies, including surface mount technologies (SMT), are sophisticated and possibly expensive, but known and accessible. It would be shrewd to invest in them, if they can help increase the Indian component in telecom manufacturing. Reports also point to loss of government revenues when manufacturing companies import populated PCBs. 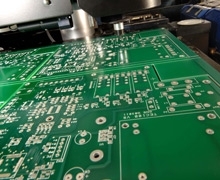 The royalties on the installed components on the populated PCB are paid in the exporting country. They are now reflected in the price paid by the importer. However, were the duties to be paid from India, it would allow the government to collect a withholding tax that it levies on royalties paid to overseas companies. India cannot afford to be at the screw-driver end of manufacturing without compromising its aspirations. The Executive Director of Manufacturers’ Association of Information Technology (MAIT) said as much to a newspaper recently: “We have observed that almost no actual manufacturing of mobile phones is really happening in the country as the current tax structures give incentives to semi knocked-down kits. We are, therefore, talking to the government to come out with a policy encouraging CKDs that will kick-start the overall mobile phone manufacturing industry in India”. Equating SKD and CKD is therefore no longer tenable; the duty advantage for SKD components hurts manufacturing itself. Indeed, it will deter even the bigger players, like Foxconn, reportedly planning ambitious manufacturing facilities in India. On the other hand, moving to CKD components has important spin offs. It allows India to create and expand the many related activities involved in populating PCBs. The PCBs could then be designed in India. The “unbundled” CKD components can be sourced more flexibly and at least some manufactured locally. In any case, access to and familiarity with CKD will encourage local entrepreneurship. It will allow smaller and possibly niche players to enter the market at appropriate levels of expertise and investments giving a tangible boost to the government’s Make in India initiative. There is a manifest link between Digital India and Make in India. A coherent strategy to promote manufacturing in the pervasive and strategically important telecom sector can achieve much more than saving foreign exchange. It will require a mix of measures and incentives to improve the ecosystem of manufacturing to expand the role of Indian players. The size of India’s market offers a unique opportunity to achieve scale. With India’s known depth in technology, it will go a long way to help India move up the value chain, and manufacturing will provide jobs requiring sophisticated expertise. It will also augment the many jobs requiring basic skills for assembling SKD kits. It will help create the conditions for Design in India and promote Indian intellectual property, including patents and the ensuing royalties. It will be a while before India can be a major player in all or even the parts of manufacturing that contribute most to the cost of handsets. However, the first step, of levying CVD on populated PCBs is low hanging fruit. It will encourage India’s manufacturers to add more value in India and reduce the massive burden of imports.